Lobi Stars FC returned to the Nigerian Professional Football League (NPFL) with a slim victory on Thursday, 30th March, 2017 to wrap up a full set of matchday 16 fixtures. 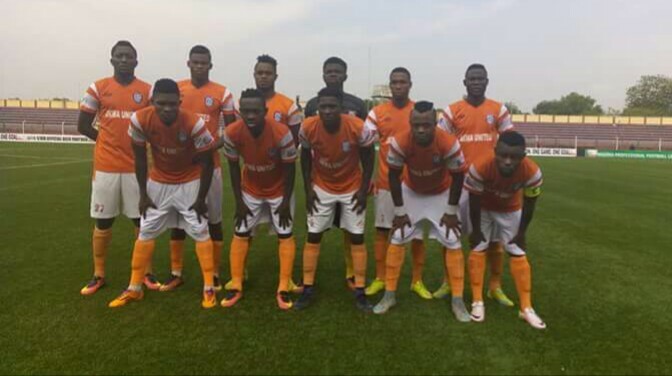 The Ogenyi's tutored team came from a goal down in the early stage of the game to beat Akwa United FC 2 - 1 at the Aper Aku stadium in Makurdi to moved up to 6th place on the NPFL table. 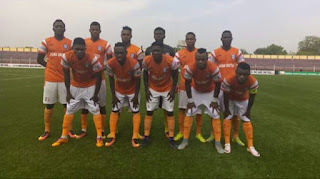 Akwa United FC sensational winger, Moses Ebiye scored a solo goal in the 5th minute after being assisted by the Captain Otobong Effiong. While Dennis Nya equalized for Lobi Stars in the 30th minute from a penalty awarded after Semiu Laidi's clumsy challenge on Akleche Sunday in the 18-yard box. The Benue State owned club side accomplished their target in the 57th minute when Anthony Okpotu took hold of the ball from a defensive mistake between defender Godspower Igudia and goalkeeper Emmanuel Iwu to score the winning goal for the home team. Other midweek fixtures for week 16 were played yesterday with four draws and five home wins recorded.